The ArduCopter 3DR PDB can be used with any frame. It distributes the power from the flight battery to four ESC's to power the quad's motors. 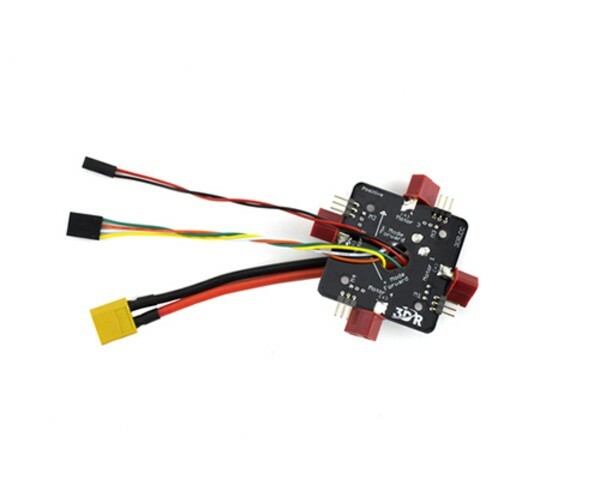 It is supplied as a fully soldered power distribution board ready to fit to your QuadCopter. 6" 14AWG red/black cable for the flight battery. 4 female Deans connectors / 1 male XT60 connector.